Home care is a combination of people and services. The right people are the ones who truly make a difference. Finding your needs before finding an in home caregiver. Double check with BlueBird’s list of caregivers and the duties they assist with. In-home elderly care services span a wide range of things and you should be clear regarding the level of care and daily living plan that would work for you. Discuss the options with family until you’re completely comfortable with just how much in home assistance you should get. Discover the differences between Home Health Aides and Personal Care Assistants. Find what you seek in one of the sections below. Speak up about your in home caregiving services. What does a caregiver do? What should your caregiver primarily assist with? 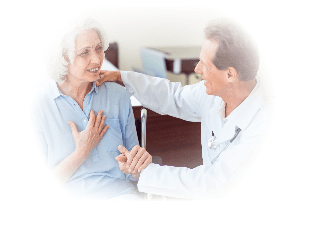 Every in home caregiver can be adjusted to your lifestyle, but you should first discuss the services as required by your doctor. If you are suffering from a medical condition or are recovering from a hospital stay, it’s important to get an in-home caregiver that place safety first. BlueBird is about more than just free caregivers for seniors. Your care coordinator is there to notify you about your options and additional resources regarding private in-home caregivers. He/ she outlines the services for caregivers and will explain the process based on your questions, concerns, and requests. What is a home based doctor (MD)? Our team of MDs is the very elite medical experts who realized there needed to be a better way for seniors to receive the quality of care. Avoid the ambulatory and strenuous travel plans and avoid the wait. We know it is often very taxing for seniors to make the trek, weather permitting, to see a doctor. We also know that consistent care truly matters. With house calls on demand, medical practitioners get to interact with patients in the comfort of their own homes, with the superlative care that meets incomparable convenience. Because everything is better at home. Our Registered Nurses are medically certified specialists with the methods of care echoing their sentiment as quality lifestyle coordinators. Patient health is met with a paired perspective on medical and personable care with our exceptional nurses on staff. Because care should go beyond the book. Our Licensed Practical Nurses are certified to administer consistent nursing care in the comfort of home. In direct affiliation with RNs, our nursing staff is as dedicated as they are efficient. We know that medical jargon may be frightening and our team is focused toward a better well being in the very best environment. Practical nursing care procedures are provided at the very best level of elite performance. Because specialty care is more than just a title. What is a specialty therapist (PT/OT/ST)? Our therapists assist and make a difference. Featuring at home services for speech, occupational and physical therapy, every individualized concern is met with a highly certified therapist who is there for the long haul. With the added service of respiratory therapy, an overall health and wellbeing initiative is achieved by way of professional and consistent one on one therapy. Because pain can be many things. What is a nutrition counselor? Eating well is essential. Our nutrition counselors are well versed in diets that are specific to the patient they’re assisting. Diabetes, muscular and digestive ailments may all contribute to specific dietary requirements. Our experts work along with the patients and caregivers so that a menu plan is achieved and matches the physical needs, as well as the taste preference, for patients of every scope. Because food can heal from the inside. 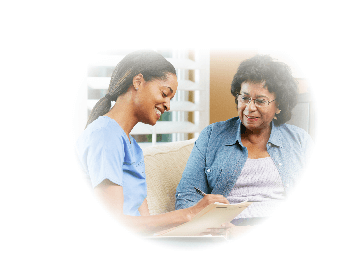 A BlueBird home health aide is there when you need one most. In fact, he/ she may be there all the time. With 12 or 24-hour shift options, you know you’re always in the best of hands. Find some of the primary home health care services below. Make sure to notate them when selecting the right caregiver. Social interaction is an integral component of the overall well being of our clients. Getting to do things of interest boosts morale and reduces depression. The clinical side of our companionship partners is the ‘can’t live without’ approach. Eldercare isn’t always about medicine. In fact, every BlueBird home health aide helps with laundry, shopping, and fun activities so that life goes on and has meaning every single day. Because life’s better in good company. A BlueBird Personal Care Assistant, also known as a patient care assistant, is selected based on appropriate training and superlative personality. Our team joins the BlueBird family before joining yours, so we go through the selection process to ensure the very best who make the grade via making a difference. Read about some patient care assistant duties below so you can understand the available services and options. With requirements of patient care assistant training, BlueBird is about proper caregiving standards that include respect for each of our clients. We make sure the bed is comfortable, the vital signs are up to par and the overall hygiene requirements are met so that every BlueBird patient maintains the integrity which is so rightfully his/ her own. Because we’re in the business of helping people.